Student teams must check in. 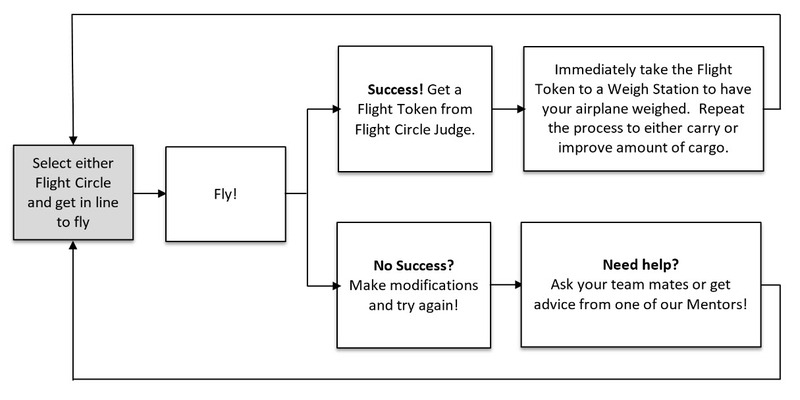 Visual Displays must be turned in at Check-In and prior to completing any other fly-off requirements. Teams may earn up to 25 points for this section of the Fly-Off. Student teams will demonstrate their knowledge through a written skills test. Teams must return in their completed test to the designated bin on the check-in table by 6:00pm. Teams may earn up to 25 points for this section of the Fly-Off. Teams will demonstrate their airplane’s performance. All airplanes must fly empty first, then students may add cargo. 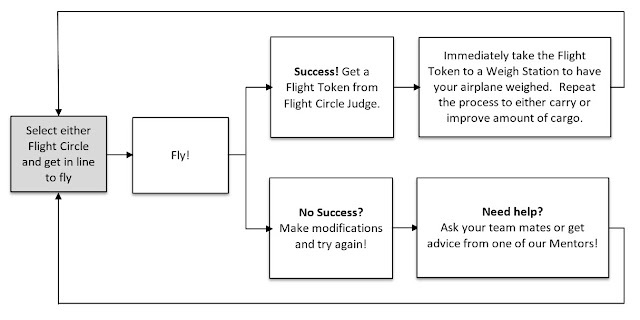 Students may make as many attempts as time allows, but no one attempt may exceed 2 minutes in the flight circle. Teams may earn 15 points for flying empty and a pro-rated 35 points for carrying cargo. Top performing teams will be recognized in two grade bands- Grades 6-8 and Grades 9-12. *Students may complete these fly-off requirements at any time during this time band.